Santa and the team will be out delivering the week after next and many people will be returning to Ireland for Christmas. The car hire business will be exceptionally busy as normal, so do remember that if you are hiring a car you will need to take out Car Rental Excess Waiver Insurance. Naturally, if you are planning an after Christmas break and are off to find some "winter sun", or go skiing for example and renting a car, then again make your car rental excess insurance arrangements in advance and save money as car hire providers do normally charge a lot for this type of insurance product. To look at the MoveHome.ie website in my opinion the image on the left that is on their home page does not do them justice for their fantastic window displays. They are situated on the N1 Drumcondra Road, Drumcondra in Dublin 9 and cannot be missed by anyone going down that road. It is better if you are walking of course and I have been walking past with the dog ever since they opened and cannot remember who occupied the building before. They had a fantastic display of tea cups and tea pots in 2016 and according to The Irish Times "scooped a gong for Best Shopfront in Dublin City Council’s 2016 annual awards. It’s the first time an estate agency has won the prize which isn’t surprising given the rather mundane nature of the most agency’s displays. MoveHome won the award for its “drop in for a cuppa” themed window. The display consisted of 250 tea cups, recycled from houses the company sold throughout this year, with 20 novelty teapots in the shape of houses and cottages"
Unfortunately I never took out my phone to take a picture but you can see this at The Irish Times website here. I did however capture this Halloween window from 2016. Finally below is this very clever display from June / July 17 with pots of paint with pictures of property for sale on them inviting purchasers to "put their own touch on of the houses". As someone involved with Letting and Estate Agency for many years, I do find this way of creating a window display very good. It is such a shame that they don't show some of these "works of art" on their website. I look forward to seeing more as I walk by. Car hire costs and the benefits of taking out car hire excess waiver insurance from an independent provider are very much in the news in the last week. The Irish Times travel section of June 17th, featured a report by Joan Scales "Travel advice on....Pitfalls of car rental"
She reported that Car rental can be one of the most frustrating elements of any holiday. She had recently booked a car in Spain and the price for 10 days hire with a Nissan Juke was only €33.92. She added on the items in the Goldcar list it suddenly cost €313.92! She wrote that Goldcar would block a deposit of €1,400 if she provided her own excess insurance, their price was €59.50 which of course costs the same as an annual policy from an independent insurance company. So the main advice is when hiring a car take out car hire excess waiver insurance from an independent insurance provider. On the insurance4carrental.com site http://www.insurance4carrental.com/#Click There is a great choice - Questor, carhireexcess.com, insurance4carhire, Worldwide insure, Protect Your Bubble, iCarhireinsurance, insurecarhire plus companies offering Van hire excess, motorhome excess and minibus hire excess insurance and car club insurance. I was reading the Irish Independent this morning - 25th May 2017 and came across an article by Sinead Ryan under the "Consumer Guide". Car hire without the excess worry. That is something we all want and it was only a couple of weeks ago I rented a car in Sicily and turned down the car hire company's rather expensive cover as I already had an annual policy. Well we are now heading for the summer holidays, bank holidays and half term breaks. So Sinead has been looking at the car hire itself and the 'emergence of the excess insurance.' This is the cover she explains that pays for the first part of every claim the driver normally pays in the event of an accident and which she says in Europe van be "wateringly excessive"
She points out that car hire staff "are paid hefty commission to up sell products and issue dire warnings about not having this. In her article she got quotes from one of the advertisers at Irishpropertyinsurance.com and insurance4carrental.com - Ciaran Mulligan of Blue Insurance that has the brand CarHireExcess.ie. Ciaran explained that "car hire insurance covers you for accidents (usually termed Collision Damage Waiver) and theft (Loss Damager waiver), unfortunately, you may have also have to pay a large excess if the hired car is damaged or stolen. Car Hire Excess is a reimbursement policy which is designed to help you avoid these large excess costs"
He went on to say" You can get ripped off at the car rental desk, routinely charged €20 to €25 a day whereas an Irish policy in advance will only be €3 to €5 a day. So it is best to buy before you fly". The article runs through costings from four other companies and goes on to offer some tips when hiring a car. One of these is that most rental firms demand a credit card not a debit card. In Sicily my Irish debit card was not acceptable and had to use a sterling credit card which adds to charges as there are currency transactions. As I did not buy the car hire company's product they had the right top debit my card between €1,200 to €1,600 so you do need to make sure you have sufficient credit as quite often car hire companies take that money as soon as you hire and return it when you bring the car back....undamaged. So if you are using that credit card for hotel and other expenses on your holiday, make you have a sufficient credit limit. One item that was not mentioned in the article was about extra equipment charges, child seats, Sat Navs etc. We took our Sat Nav with us. We did not want to rent one and we know how or "Agnes" works! When I rented the car I did what the Irish Independent article advises - check the fuel policy. You can normally do this before you book. If you are hiring on a pick up full, return empty that is no good if you are not travelling far and you return it nearly full. It is a way some car hire companies make additional income so do take care. The rental sector has always catered for a diverse range of households, but increasingly rental housing is becoming a more permanent home for a growing number of both individuals and families. The key actions set out in this Plan will build on the structures already in place to support the rental sector in Ireland. Ireland is relatively unique internationally in having a dedicated regulatory body for the rental sector – the Residential Tenancies Board (RTB) – providing tenancy registration, advice, and dispute resolution services. It will be important to ensure that the regulatory framework and supporting policy for the rental sector is fit for purpose in terms of the role envisaged for the sector in the future – one that is attractive for tenants and landlords, offering appropriate supports and protections for both. • Services – broadening and strengthening the role and powers of the RTB to more effectively provide their services and empower tenants and landlords. Rental housing, because of its flexibility, is particularly important in enabling the housing market to adapt to the changing needs of the population. In Ireland, the rental sector has traditionally been regarded as a residual sector in which households, who would prefer either to own their own home privately or access permanent social housing, must serve time on their way to their true tenure of choice. This has to change if Ireland is going to develop a truly affordable, stable and sustainable housing sector. Rental housing provides a flexible housing option to meet rising demand and can promote better alignment with the more mobile labour market of 21st Century Ireland. It also aligns with changes in people’s behaviour in terms of house purchase, making it easier for individuals and families to pursue job opportunities or adapt their accommodation to changing family circumstances quickly. A well-developed rental sector can reduce the macro-economic risks of an over-reliance on home ownership. Countries with relatively large private rented sectors, such as Germany and Switzerland, have been better insulated. The rental sector in Ireland has doubled in size over the course of the last two decades. Almost one fifth of the population now lives in the rental sector. Growth in the sector has been driven by a range of factors including a reducing reliance on home ownership as a tenure of choice, demographic factors including inward EU migration, decreasing household size, and increasing rates of new household formation. The contribution made by the rented sector in delivering social housing supports for low-income households through long-term leasing initiatives and, more recently, the Housing Assistance Payment, have also been key factors. In parallel with the growth in the rented sector, Ireland’s traditional reliance on home ownership, driven and supported by easy access to mortgage finance and a range of incentives that have been offered to households going back to the foundation of the State, has been reducing over time. While Ireland still has one of the highest rates of owner occupation in the OECD, there is an increasing acceptance that a viable and sustainable rental sector is a key building block for a modern economy. However, the rental sector in Ireland is not yet a truly viable or sustainable sector. Severe supply pressures, rising rents, concerns regarding security of tenure, regulatory treatment of encumbered buy-to-let properties, examples of poor accommodation standards and a shortage of professional institutional landlords or other landlords with long-term investment plans all act as impediments to delivering a strong and modern rental sector that offers real choice for individuals and households, while contributing to economic growth. The Government is committed to developing a real and meaningful strategy for the rental sector to enable it to develop to its full potential. This strategy, to be completed by Q4 2016, will chart a path forward, offering a vision for what role we want and expect the sector to play over the short, medium and long term. Incorporating measures already under development, including the new Deposit Protection Scheme, it will contain a range of ambitious measures which the Government will pursue in partnership with the RTB, other stakeholders and agencies in the housing arena. It will be a strategy developed with the needs of both tenants and landlords in mind. • The scope for a move to indefinite leases, replacing the Part IV four-year tenancy, perhaps with incentives for landlords to waive their right to terminate a tenancy in the event of the sale of the property. • A move towards enforcement of quality standards in rental accommodation on a regional basis. o restructuring of the RTB fee structure to reflect trends in the rental sector and allow the RTB to plan properly for the delivery of a broader range of services. Early Legislative Actions New legislative provisions governing tenancy terminations will be brought forward in the Autumn for early enactment. These will include actions to prevent a future recurrence of situations which have arisen, where large numbers of residents in a single development are served with termination notices simultaneously. While it is not intended to dilute the right of landlords to sell their property (subject to the requirements currently set out in the Act), it is proposed that where a landlord proposes to sell 20 or more units within a single development, the sale would be subject to the existing tenants remaining in situ, other than in exceptional circumstances. Other early actions will be taken to enhance the RTB’s enforcement and dispute resolution powers. Specifically, it is proposed to amend the Residential Tenancies Acts to accelerate dispute resolution timeframes (by reducing the time period for appeals), restructure the administration process and provide for the possibility of one-person tribunals for certain categories of cases. We will also examine the model for resourcing enforcement within the RTB to allow for more enforcement cases to be taken in the future. The current minimum standards for rental accommodation are prescribed in the Housing (Standards for Rented Houses) Regulations 2008, as amended, made under section 18 of the Housing (Miscellaneous Provisions) Act 1992. These regulations specify requirements in relation to a range of matters, such as, structural repair, sanitary facilities, heating, ventilation, natural light, as well as safety of gas and electrical supply. All landlords have a legal obligation to ensure that their rented properties comply with these Regulations. Responsibility for enforcement of the Regulations currently rests with the relevant local authority, supported by DHPCLG via a dedicated stream of funding (provided from part of the proceeds of tenancy registration fees collected by the RTB). To ensure that the standards reflect the requirements of a modern rental market, a review of the Housing (Standards for Rented Houses) Regulations 2008, as amended, has been initiated and a stakeholder consultation process is underway. This review will be concluded in Autumn 2016. Are you fed up trying to keep on top of all the rules and regulations for landlords? With more changes to rules and regulations in the pipe-line including the introduction of a deposit protection scheme you need to ensure that you have access to the latest advice and information because the penalties for non-compliance are significant. 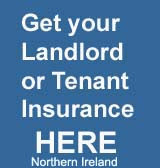 TDS Northern Ireland one of the Northern Irish deposit protection schemes which is based in Belfast is launching a new training academy for landlords, letting agents and other property professionals. This three part programme will equip delegates with knowledge on the legal aspects of tenancy deposit protection as well as best practise management with the final course focusing on dispute resolution. The training will count towards CPD - Continuous Professional Development for professional bodies like ARLA. It will give delegates access to expert and practical advice from senior colleagues of TDS Northern Ireland. Ben Beadle who is Managing Director of TDS Northern Ireland said "Our new Academy will provide a unique collection of courses for property professionals which will mean that tenants are in the very best of hands"
He went on to say "The training is open to all landlords, letting agents and property professionals with a preferential rate for TDS Northern Ireland members"